Respire Pink+ features an ergonomic design with telescopic hardware that’s fully personalized, ideal for people who experience teeth grinding. It works by allowing lateral and vertical movement, and opens up the airway for better airflow while holding the jaw in a position that prevents it from falling back and collapsing the airway. 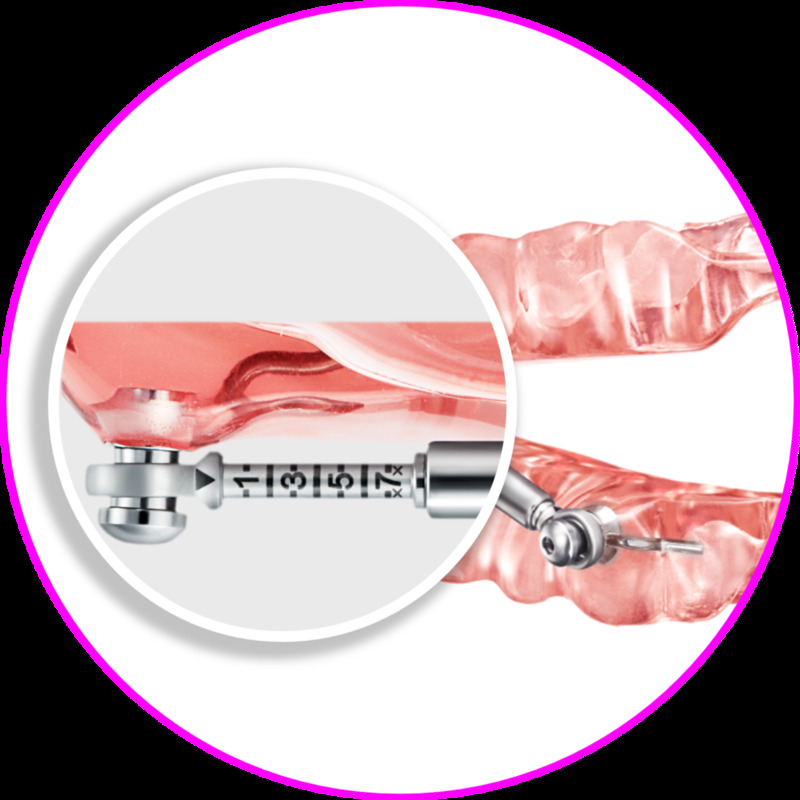 Respire Pink+ is designed with telescopic hardware that allows lateral jaw movement, making it a suitable sleep apnea treatment for people who grind their teeth at night. Respire Pink+ meets Medicare criteria, allowing patients with Medicare coverage easier access to our oral appliance treatment.